Jeetender was one of the bollywood stars who maintained his stardom with successful films for over 30 years. Born in 1942, his success started in the 60s and continued till the 80s. Rafi had sung innumerable number of golden songs which had remained timeless gems. Although he started his career with Geet Gaya Pattharon Ne in 1964, he created attention with his dancing skills in the film Farz in 1967. All the songs composed by LP and sung by Rafi became smashhit. The successful songs included “mast baharon ka mai aashiq”, “baar baar din yeh aye”, “tumse wo haseena”, to name a few. The Rafi Jeetender combination continued in the film Jeene Ki Raah. All the songs of the film became successful including “aap mujhe acche lagne lage”, “ai mare humjoli aa” and “ek banjara gaye”. It was a tragedy that Shankar Jaikishan composed music in few films of Jeetender. But in those films too the Rafi SJ bond was strengthened again. In Mere Huzoor, the landmark songs like “apne rukh par nigah”, “gham uthane ko”, “jo guzar rahi hai”, “phalak pe jitney sitaren hai” were priceless gems. The song “rukh se zara naqab uthalo mere huzoor” can stand out as one of the ten best ghazals sung by Rafi in his illustrious career. LP rocked bollywood with his songs composed for Jeetender in the film Jigri Dost. Rafi was probably at his best in each and every song of the hit film. The most romantic amongst them included “raat suhani jag rahi hai”. Suman Kalyanpur balanced the romantic andaz of Rafi in the film. The other songs like “mere desh me pawan chale”, “dil me kya hai”, “phool hai baharon ka”, were equally melodious and brilliant. In the early 70s, the LP Jeetender Rafi combination came out of super hit songs. In Banphool, the songs “wo sapno ki raani”, “gulaabi gulaabi ankhose” created the charm of the evergreen combination. In Humjoli, the songs “dhal gaya din” where Rafi sang with Asha, the beat of badminton game was synchronized by LP with the beat of the song. It was very romantic presentation of both Rafi and Asha. The other songs of Rafi like “hai re hai” with Lata and “tik tik tik” had the westernized orchestration and romantic appeal embedded in them. In the mid-70s, multi-starrer film Jaani Dushman did great business. Jeetender was one of the performers in the horror film aside Sunil Dutt, Shatrughun Sinha, and others. The song “tere haathon me pehnake churiya” sung by Rafi became big hit. Rafi sang notable songs in Jeetender’s film Nagin as well in the 70s including “tera mera yarane”, “tere ishq ka mujhpe hua ya asar”. In the late 70s, Jeetender’s film Asha, had a number of hit songs of Rafi. The music was composed by LP. The hit songs included “ashawon ki sawan me”, “jane hum sadak ke logon”, to name a few. RD Burman also used Rafi in hit films of Jeetender like Carwan. The songs “kitna pyara wada”, “are ho goriyan kahan tera des re”, “chatdi jawani” were big hits. RD Burman used Rafi successfully in the landmark qawalli picturised on Jeetender in the film Burning Train. The song “pal do pal ka” set the suspense of the film in place, where Asha had contributed well along with Rafi. 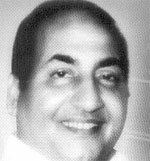 Rafi had sung hit songs for Jeetender in other films like Ek Nari Ek Brahmchari composed by Shankar Jaikishan, Badalte Rishte, composed by LP. It is not possible to highlight the combination of Rafi with Jeetender in a small article because both were involved in more than 25 films together and the combination existed for more than 15 years. It was a tragedy that Rafi died in 1980, otherwise the listeners could find the evergreen combination in more films in the 80s. The films and the songs should be restored. This entry was posted on Sunday, April 18th, 2010 at 3:02 pm	and is filed under Meri Awaaz Suno. You can follow any responses to this entry through the RSS 2.0 feed. You can leave a response, or trackback from your own site. I would like to inform that legend Rafi died in the year 1982 in the month of July. 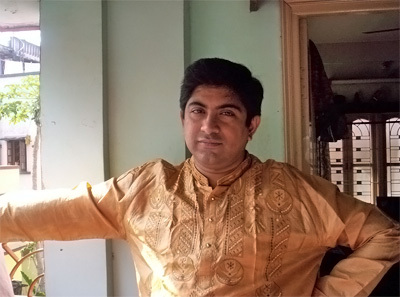 As Sri Souvik Chaterjee mentioned his above mentioned blog that Rafi died in the year 1980. Please correct it. very nice article. Just one more great movie of this great combo, “Waris” with music by none other than rdb. There was also a parody song by rafi sahab in that movie. Once again a beautiful article from your side. Yes! You are absolutely right that it is not possible to highlight all the songs of this great combo. However you have mentioned many songs which are highlights of Rafi-Jaitendra combo. One more correction (in addition to Mr. Krishnarafian’s correction in post 5). The song “Jo guzar rahi hai muje par” from “Mere Huzoor” is picturised on Raj Kumar instead of Jaitendra. And how can one miss the block buster song which is the trade mark of this combo (in my opinion). It is the ever green “Aane se jis ke aaye bahar…Badi mastani hai meri mehbooba” from “Jeene ki raah”. Anyway, thanks for sharing this beautiful article. Both the songs from Nagin are not picturised on Jeetendra. First is on Feroz Khan and second on Sunit Dutt. There is one beautiful song AISA NA HOKE IN WAADIYON ME starring Jeetu and Saira banu. Its one of the best Rafi songs on him. There are many more songs which is not covered in the article. You have missed movies like Yaar Mera (Dil Ki Kitab, Dar Lage To, haye Kuch Aisi Ada Se), Bikhre Moti, Do Bhai, Katputli (Ek Baat Poonchun), Udhar Ka Sindoor (Phur Se Ud Jati), Khilona (Main Sharabi Nahin), Naya Raasta (Ishwar Allah, Ponch Kar Ashq), Gunahon Ka Devta (Hum Ko To Barbaad Kiya Hai), Aulad (Nazuk Nazuk Badan Mora, Abke Bahar, Arman Tha Hame Jinka), Judai (Mausam Suhane Aa Gaye), Waris(Ek Bechara, Lehrake Aaya Hai, Kabhi Kabhi), Jawab (Zindagi Hai Kya, Kaun Hai), Himmat(Ae Shukr, Maan Jayiye, Dhas Gayi). Well the list of Jeetu-Rafi combination is very long. Shashankji, the song “Mere Des Me” is from Jigri Dost and not Mera Gaon Mera Desh which starred Dharmendra. Nice write up. 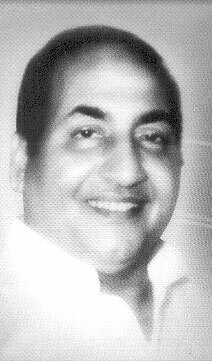 Rafi Sahab had sung for almost all heroes of bollywood. One can see the special flavour of Rafi Sahab while singing for Jeetendra. I think you have missed one of the important movies of Jeetendra, ” Roop Tera Mastana”. Jeetu was paired with Mumtaz. The two songs in that movie are still remembered and look as fresh as evergreen songs of Rafi Sahab the song was ” Bade Bewafa Hain ye husn wale” and the other one was the romantic song picturesed on Jeetu and Mumtaz ” Haseen Dilruba”.